When you think of a leader, who do you imagine? Is it a CEO? Political leader? Top-performing athlete? If it’s anyone other than yourself, you’re doing yourself a major disservice. The thing about leading is, at some point or another, we’re all given the opportunity to do it. And yet, some people live through their lives thinking of themselves as having little or no leadership skills, say or power with respect to the direction of their own life. Whether you’re the head of a major corporation, the pastor of a local church, a parent or you’re flying solo and trying to figure out your next move, you have ample opportunities to become a great leader each and every day. That said, if you don’t have a strong idea of the leadership qualities that constitute a great leader, then you’ll be forced to follow in any direction the current takes you rather than forging your own path and leading the type of life that maximizes your full potential. So, let’s examine the core qualities of a good leader so you can practice cultivating them and begin applying them today. 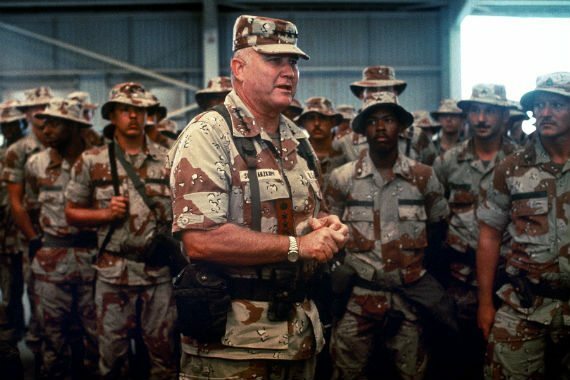 “Stormin’ Norman” Schwarzkopf, who in 1991 commanded the U.S. Military during Operation Desert Storm, likes to tell a story about an early mentor of his in the military. 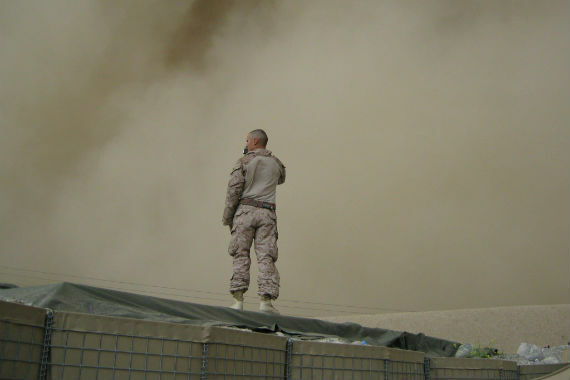 At the time, the Army had been embroiled in a 10-year decision-making process that would determine its direction and structure, and there was no end in sight. Unable to commit to a solution, the leadership team turned to a general who up to then had not been involved in the program. Looking at them, the general said, “The answer is obvious, gentlemen.” He gave them the answer. This experience would shape Schwarzkopf’s life. There might be no leadership quality more critical for a strong leader than the ability to make important decisions. What makes decision-making so hard for some people is that for any given problem, there are infinite paths one can take toward a solution. How do you know that the path you choose will be viable? How do you know that the decision you’re making isn’t going to cause serious setbacks? How do you know this choice won’t have a negative impact on your team? You’ll never know the answer to those questions until the decision is actually made. Dwelling on infinite possibilities is paralysis by analysis. You could spend day after day contemplating option after option, but you’ll never know what’s right until you execute. If it turns out you made the wrong decision (and at some point you will make a wrong decision, because we all do), then guess what? You now have a new opportunity to lead in a different direction with a new decision that will keep you moving forward. Had you not decided on anything, you’d still be stagnant with no momentum, no new knowledge and no change. So when you’re put in charge, take command. Good leadership skills are about being able to take the reigns when necessary, even if you’re unsure of what the outcome may be. Have you ever said the words, “I don’t have time” or “I don’t know the right people to do that” or “I don’t have enough money to make that happen?” Then you’re not utilizing all of the resources at your disposal. It’s not about the amount of resources you have, it’s about how resourceful you can be – even when you have nothing. The best and the brightest leaders the world has ever seen have one major thing in common: They’re all resourceful. And there is no greater resource than resourcefulness. Of all the qualities of a good leader to cultivate, learning to be resourceful with what’s available to you will enable you to go far in life. Years ago, before Apple wasn’t the giant influencer that it was today, it was at a high risk of going under. The company was running out of money, new technology and options, so they threw a Hail Mary to Steve Jobs. Steve Jobs was given a salary of $1 and the challenge to restart the company. What did Jobs do? What leadership qualities did he tap into? He didn’t upgrade the technology because the technology wasn’t there yet. He didn’t throw a bunch of money into branding because they didn’t have the money to do so yet. Instead, he honed in on his resource of creativity and made one simple change: He ordered the computers to be redesigned and repackaged in candy-coated colors. He already knew that Apple was selling an incredible product, so his challenge was simply to make people view Apple products in a different way. And just like that, he set Apple on the path to becoming the champion of innovation it’s known as today. If you have clarity around the outcome you seek to achieve and you’re focused on it, you will find the resources to succeed. They may already be right in front of you, you just need to put yourself in the right emotional state to see them. If you’ve set your goals, honed your focus and are taking massive action and getting better and better at executing, then there’s only one leadership quality you need to get whatever you want: Grace. Whether you think of grace as God, the universe, luck or something else, it doesn’t matter – the point is that your grace gives you a reason, a purpose, to keep doing what you’re doing. The best leaders in history are those that are purpose-driven. They’re doing what they’re doing in order to serve something greater than themselves – whether it’s the planet, their family or a higher calling. They know what they believe and they follow those beliefs with laser-sharp focus. If your primary motive as a leader is to get someone to do something you want, then sure, you can strategize and manipulate the people around you to get it. But when your primary motive is to serve a greater good, you create a lasting legacy that will extend well beyond your lifetime. Not only that, but your dedication to your cause will empower others to do the same. It’s no secret, and definitely no coincidence, that one of the top qualities of a good leader is that they are also masters of influence. They know not only how to propel themselves, but also what propels others to keep growing and improving. And what empowers them to do that is their knowledge of who they are – what their “brand” is – and who they are to others. In order to influence someone, you need to know what already influences them and what influences you, and let those values inform your actions. Knowing your values will allow you to harness them and live a life to a certain standard that, as more people come into contact with you, will motivate them to also live by those standards, even when they’re not in your presence. When you master this skill of influential leadership, you’ll control the ultimate force for giving, creating, sharing and contributing more. Leadership skills aren’t something people are born with – they’re developed and strengthened over time like a muscle. If you commit to finding your purpose, honing good leadership qualities and turning to others who you regard as incredible leaders for guidance, you’ll learn how to lead, too.